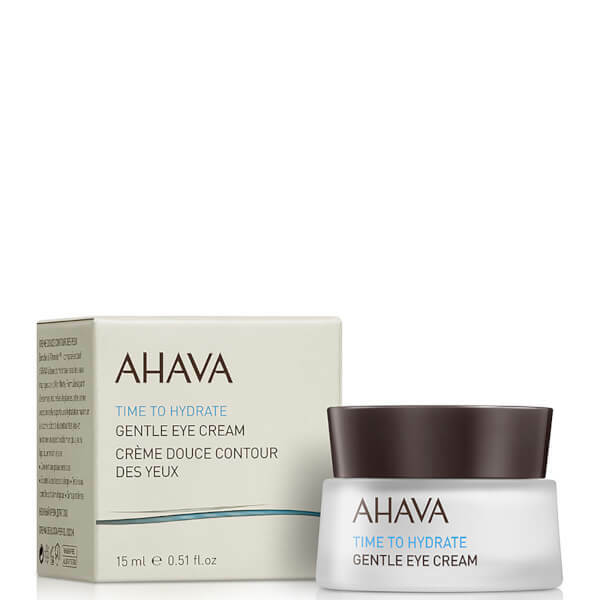 Revive weary eyes with AHAVA Gentle Eye Cream; a lightweight eye cream that works to replenish moisture whilst reducing signs of fatigue around the delicate eye area. Infused with a host of Vitamins, Minerals and Botanical extracts, including Pro-vitamin B5 and Chamomile, the calming cream melts quickly into skin, diminishing dryness whilst softening lines and refreshing to help eliminate signs of tiredness. 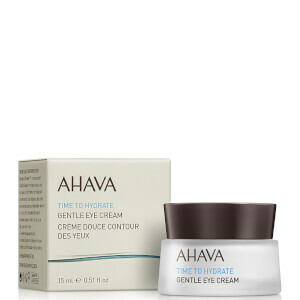 Eyes are moisturised and protected. Expect brighter, smoother, softer-looking skin. On clean skin, apply a small amount to the outer eye-area with fingertips. Use twice daily for optimal results.